Magento is one of the most popular eCommerce platforms which comes with a considerable amount of opportunities for the retailers. This shopping cart has lots of diverse built-in options and there are plenty of Magento extensions which help the business owners to successfully create and run their e-store. However, more and more merchants are interested in the possibility to hide product prices in Magento. 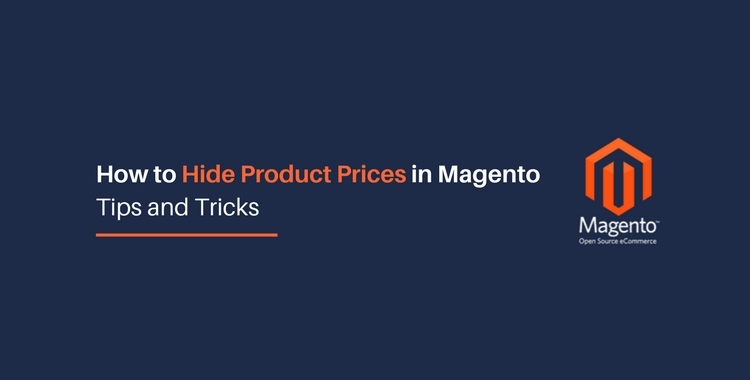 Let’s find out all the possible reasons and effective ways to satisfy the most frequent retailers’ request for hiding prices in Magento platform. By the way, if you want to upgrade your Magento current store, check the quick guide with step-by-step instructions showing how to upgrade Magento effortlessly. If you are ready to switch your current platform to Magento, there is no easier way than via Cart2Cart - automated shopping cart migration service . Before we undertake the detailed research on all HOWs, let’s examine first all WHYs. There are several reasons why the e-store owners prefer to hide the product prices from their customers. Some manufacturers may implement a so-called “minimum advertised price” restriction. It means that the retailers can’t promote the product below a fixed price. NOTE, that it is forbidden for the merchant only to DISPLAY the lower price, not to SELL the item for less. Thus, it makes sense to hide the product price and show it as soon as the item is already in the customer’s shopping cart. Sometimes the selling products are made of the material that constantly varies in price (it may be gold or silver, for instance). Thus, the dependence on raw material states another reason why the retailers need to hide the product prices. Yield Management can be defined as the variable pricing strategy based on the customer behaviour, the main goal of which is to maximize the revenue. It can be applied to the businesses which, for instance, have a definite amount of products to sell (i.e. airline seats, hotel rooms, etc.). It also works for the e-shops which offer the items with time-limited value. In such cases, it is reasonable for the merchants to hide product prices. It’s an undeniable fact that the world of eCommerce is highly competitive. That’s why some retailers pick the strategy of not showing their best product prices upfront. It often happens that the business owners prefer to hide the product prices from non-members in order to drive them to do some actions and to increase the customer’s engagement on their website. It may be “clicking the order button”, “submitting a form” or “login/register with store”, etc. Now when we know all the possible reasons of hiding product prices, it is time to discover the efficient methods to keep the prices out of sight. Once completed, click Save button. In order to hide product prices in Magento e-store, there is the need to override some files (phtml). Such procedure requires solid coding knowledge and vast expertise. By following the link, you will find out the step-by-step instruction on how to hide the product prices from non-members presented by the certified Magento developer Manish Prakash. The last and one of the easiest ways to hide product prices in Magento e-shop is to use the extensions. Here’s the list of the most popular Magento modules. 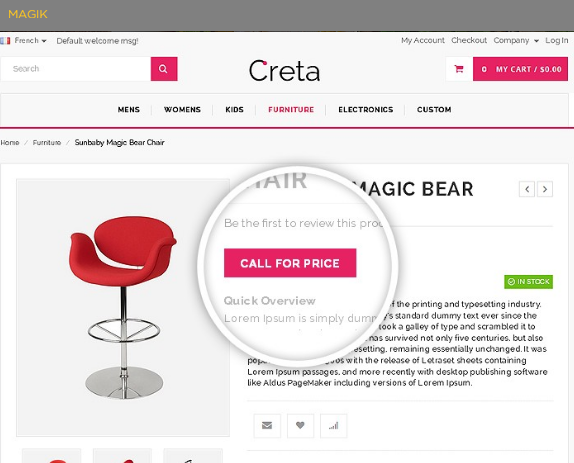 Call for Price is an extension which enables the store owners to hide not only prices but also “Add to Cart” button. 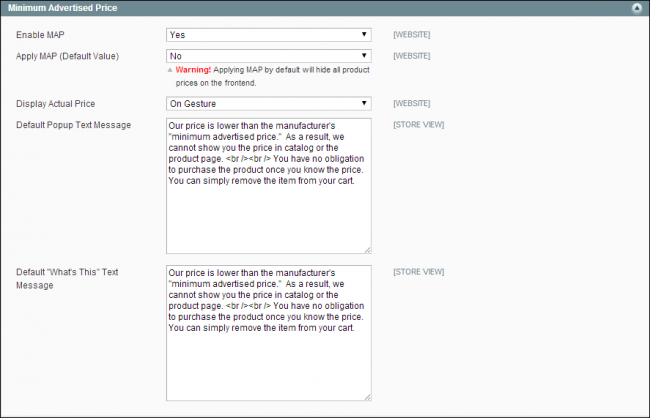 It is also possible to display a custom message for each item and remove products from “price filter”. This extension is paid and comes with $30.00 price. The main feature of this extension is to hide the product price in order to encourage the customers to log in. The retailers are also provided with the opportunity to customize the “Add to Cart” button. Instead of the price and this standard button, it is possible to display a totally different message. This extension is free and can be installed right away. By installing this extension, the e-store owners will be able to hide price for individual products, disable the “Add to Cart” button per product and show price only for the logged in consumers. Not2Order is 100% open source and comes with €149.00 price which includes 12 months of free updates. This extension comes with many features which provide the retailers with plenty of options. 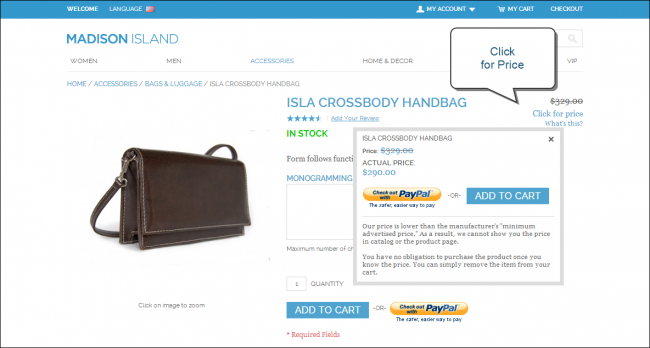 For instance, customized messages or pop-ups can be used instead of “Add to Cart” button. The product prices can be hidden from unregistered users. The merchants have an opportunity to hide price for particular product and create private sales within an e-store. This extension costs $129.00 and its price includes 3 months of support, 6 months of free updates and 30-day money back guarantee. Are you still using another platform? Then you are missing a lot because it’s an undeniable fact that Magento eCommerce platform provides the retailers with tons of opportunities. And the possibility to hide the product prices on this shopping cart can be easily achieved via the listed ways above. In case you want to switch your shopping cart to Magento or upgrade your current store, you can always appeal to Cart2Cart, the world’s #1 shopping cart migration tool which lets you migrate online store’s data from 75+ e-Commerce platforms to Magento automatically with no programming or developer skills needed. This service will effortlessly and fast transfer all your entities (orders, customers, products, attributes, categories etc.) 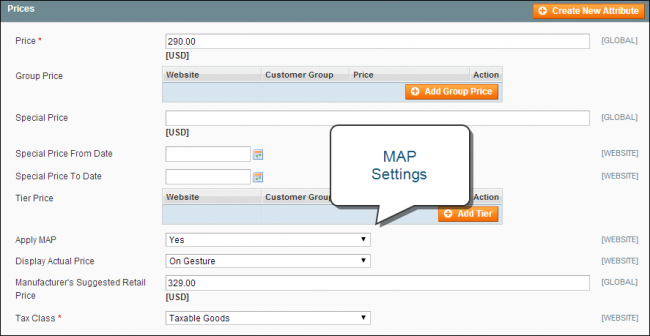 from your current platform to Magento. This service provides a Free Demo migration, and you can have a glance at your new store right away! The whole process will last no longer than 30min. So try it out!